Michael Bowman's 2pm auction at Chudleigh Town Hall next Saturday January 19th, features a large oil on canvas by local artist Robert Lenkiewicz. 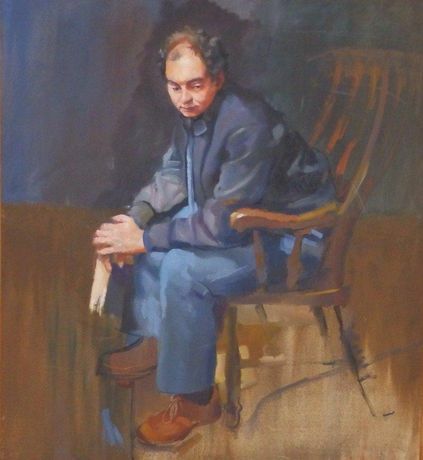 Measuring 55" x 50", this sensitive male portrait was part of the artist's Education Project and depicts Bob Hooper BA, head of art & design at Tavistock School. The vendors bought this work at the milestone auction held shortly after the artist's death in Exeter. A house move dictates it now be sold again. This time with hopes of £3,000-4,500. Elsewhere in the auction a rare offering will be the 1.3" George IV silver vinaigrette fitted with a tiny music box movement within its base. This is estimated to raise interest in the region of £700-1,000. 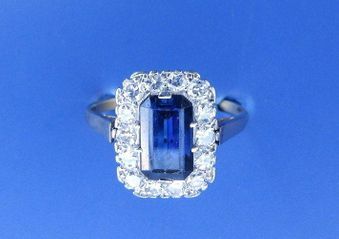 Three eye-catching diamond rings will be included in the jewellery section. 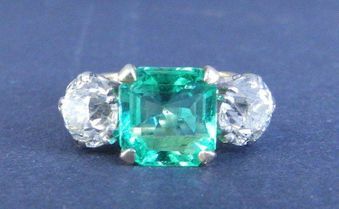 An art deco three stone emerald & diamond ring, boasts a central emerald of approximately 3 carats flanked by diamonds of one carat each. 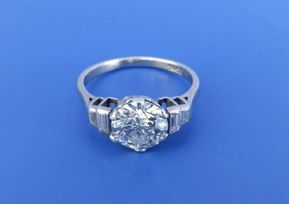 This 18ct yellow gold ring anticipates bids of £5,000-7,000, as does the 2.3 carat diamond solitaire in 18ct white gold. Further down the price scale is the dainty 2.5 carat certified natural sapphire & diamond cluster ring, estimated at a tempting £1,200-1,500.